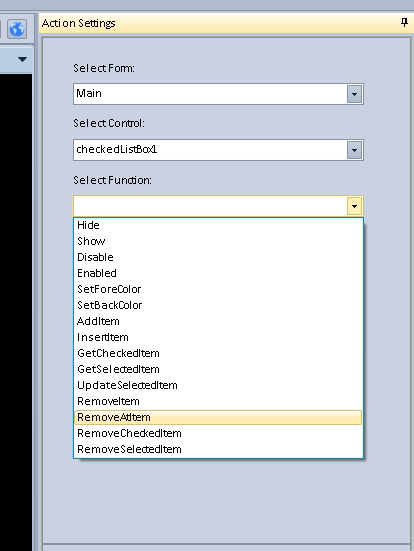 How to remove all List Box? 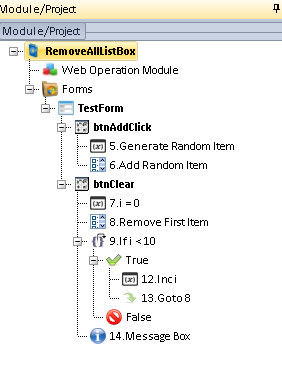 I did not find the function to get the number of Items in checkedListBox. Use a loop, like this. Archive with the project, see it. I note that in the cycle I indicated the number 10, i.e. no more than 10 lines will be deleted. If you need to delete more lines, increase this number. P.S. I think BotChief developers need to add a feature to clean ListBoxes. Thank for your support, It's working well! 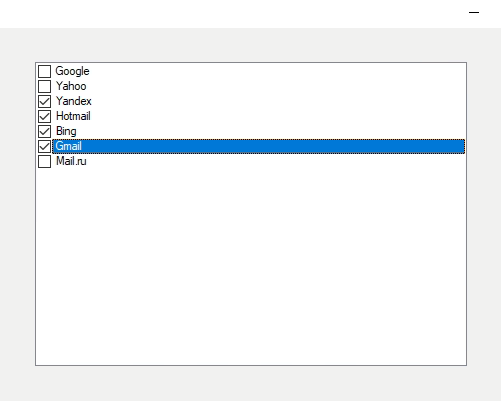 Another question, How i creator Select all and Unselect list checker box? I think it's impossible to do that now. This control does not have functions for this. Perhaps the developers will add new commands in one of the following versions. Sorry, yes this function is not available in BotChief right now. We will consider to add it in the future, please wait for the news. A new BotChief version has been released. In the version 4.8.0 the developers added new features to work with ListBox.